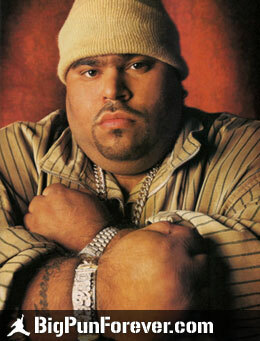 Big Pun Forever was created in 2001 to celebrate the music career of the first Latino rapper to reach Platinum sales for a full-length album. This website is also 100% free of any advertisements. Support Pun’s legacy, use the link or icons at the bottom of any page to share specific pages with friends on Facebook or 300 other social networking sites. Stay tuned for the upcoming mixtape by Chris Rivers, formerly known as Baby Pun. Big Pun’s son carries on his legacy, so please show your support! The proof that the above statement has been established by Christopher Rios, aka Big Punisher or Big Pun, is nothing but you being here reading this article. Big pun was a Latino artist. As from the above quotation you already know that he was a hip-hop artist. His R&B album which came to the no.1 position was named as Capital Punishment. Christopher Rios was born in Bronx, New York, 10th of November 1971. He lived for 28years, but in this period he managed to give an R&B album which topped the billboard and became the only Latino rapper to enter the platinum. The hop-hop star had a short career, but he has done works which are still remembered. But before his achievements in a music career, he was also a good student and a good athlete. He used to participate in athletic programs in school and high schools. Despite the left home when he was only 15 years old. The reason behind it was nothing but complicated family life. Which turned out to be the reason for his drop out from high school. This is where everything took a turn in his life. It wasn’t always up for Big Pun as it is not for any of us. But he had believed in himself. He knew that only institutional education would not evaluate his worth. So he started to educate himself. He started reading all kinds of books. The results of which you can realize after listening to his songs. The varieties of words with poetic and rhythmic endings are mesmerizing to hear. During this transition period, there was another situation which I won’t remark as a problem, that was his junior high school girlfriend liza had his first child. But this one was not one of the big situations that he had to face in his life. Instead, it was a positive change. They got married in 1990 and had two more children as well. Big Pun was and still known for his best complex rhymes. He was also popular for being able to rap for a long time without taking a breath. That is why he was different from his group Full A Clips Crew. The Rapper producer Fat Joe gave him the first big break in 1995. Fat Joe realized what a rare gem Big Pun was and made no mistake to ask him for his song “watch out.” That was one of the best things that happened to world music history. The duo made the world lost in their rhythms. In this time he became excellent friends with Fat Joe who then helped him to have a contract with Loud Records and asked Big Pun to join his associated rapper group Terror Squad. The name Big Pun came from comic book character, and he loved the name Big Punisher, the full form of Big Pun. After establishing it till now, people call him by Big Pun. Although his real name is far far away from this one. Many might not even know his real name. After having a fruitful starting with Fat Joe, in 1997 he got his first hit which was “I’m Not a Player,” As soon as he dropped the song, it went to the no.3 position of rap charts. The first album by him was Capital Punishment. Which was also the album to reach the top place in the hip-hop genre. In Capital Punishment he mixed so many talents that it had no way but to top the ranking. There were cameos of Wyclef Jean of the Fugees, Busta Rhymes, etc. This particular album sold two million copies which gave him the ultimate title of the first Latino rapper to enter platinum. He was a hero in Puerto Rican Community. He was always proud of his heritage, and it was clear in his raps as well. Although his music career was getting better with time, his health was not. The problem that started with his initial life problems happened to stay with him for a long time. He was 400 pounds at the time when he dropped his album. After being requested by his close friend Fat Joe, he started to take diet classes and was also managed to lose some weight. After some time he became just like he was during the album release and started to gain more. Which brought so many problems in his life including day to day works. One thing that you should know that it was all his physical problem, in the meantime, his music career was going fantastic. Whenever he got on stage for concerts, he never failed to awe the audiences. He was also asked to join Saturday Night Live with Jennifer Lopez, and he agreed to be there as well. But ultimately he couldn’t because of illness. He ultimately weighed around 700 pounds, which was the reason behind his death on 7th February 2000. On that date, he suffered from shortness of weight and died of heart failure. Although his wife was with him and called 911 while he was undergoing short breathes, it is said that the emergency medical workers were unsuccessful to revive him. The death of a legend like Big Pun passed sadness all over the world. The whole latino, American, and hip-hop community were devastated by his loss. There were murals about him on building and streets, thousands of fans did what they could to show the ultimate respect for the last time. And the friend Fat Joe said in his interview that he lost a brother. Though he was a legend, the last album Yeeeah Baby was released after his death which continued his legacy among the people, and still, everyone remembers him for his most exceptional quality to play with words and rhythms. It reached the number one position in R&B charts. I haven’t forgotten him either the world, even the millennials know him for his work, although he was a long past when millennials reached the age to understand his songs. He is immortal to hip-hop lovers and a delight for the people who love the game with words which Big Pun was able to precisely.